Since 1958, Perkins Restaurant & Bakery has stood for value, quality and great food at affordable prices. While Perkins reputation has been built on signature breakfasts, the menu encompasses all dayparts ? juicy Burgers, magnificent Melts and Sandwiches; dinner favorites like Homestyle Pot Roast, hearty Chicken Pot Pie and more. Plus, you can?t pass up delicious bakery items from Perkins ? decadent pies, scrumptious cookies and Mammoth Muffins. 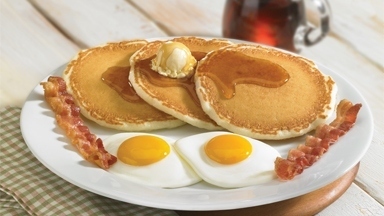 You?ll find Perkins Restaurants filled day and night with families and friends, people young and old, sharing good times and great food in a comfortable and relaxed atmosphere. ? No reviews were found for Perkins Restaurant & Bakery.